Robert Peters has spent his life living in and absorbing all that the West and its magnificent landscapes offer. 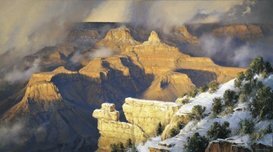 Robert Peters states, "My work is grounded in my earliest personal impressions." 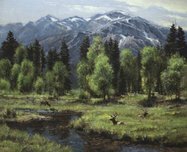 As a child, Peters grew up in Arizona, and he remembers fondly family trips that allowed him to hike, fish, and hunt in the wild and wondrous landscapes of southwestern Colorado. In these early years, Robert Peters was just happy to enjoy the experience of being outdoors and eager to take in all that nature offers. 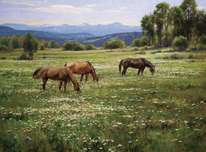 Remember every time you purchase Robert Peters artwork over $995, shipping is FREE in the continental U.S. and there is NO SALES TAX when you purchase outside of Colorado. We SHIP WORLDWIDE and offer Layaway for Robert Peters art.